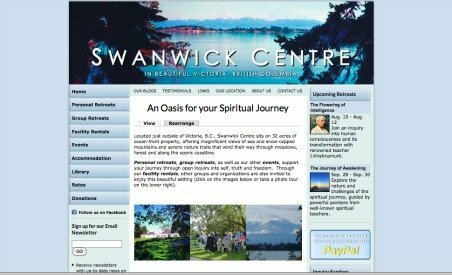 Swanwick Centre offers retreats and events that support conscious living through inquiry into self, truth and freedom. The Centre opened in 1977 as a school based on the teachings of J. Krishnamurti, and following the closure of the school in 1981, the property was converted into the Swanwick Centre, operated by the Krishnamurti Educational Centre of Canada. Swanwick Centre is tucked away on the outskirts of Victoria, BC, on a 32-acre oceanfront property that offers magnificent views of the Strait of Juan de Fuca and the snow-capped Olympic Mountains.